Luckily, you can still pick up the deal through the Microsoft Store online if you don't live close to a physical store, where devices like the HTC Arrive, HD7, and Trophy are being sold for a penny with a contract. 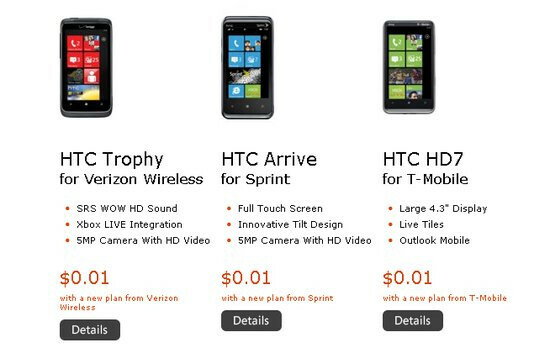 And from the looks of it all, the promotional offer is still valid for customers with qualified upgrades. Moreover, they’re throwing in free next business day shipping that will get the handset of your choice into your hands faster. Considering that all are top-notch smartphones on their own, it’s really nice to see that you’ll be saving a ton on cash purchasing them from Microsoft directly. 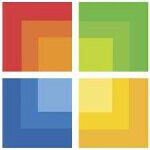 WP7 sales must not be happening as fast as MS was hoping they would. When stuff doesn't move, you discount it to clear the inventory. Sure hasn't been for a lack of effort, but of course you are right. You don't go to a penny on good selling devices. Since the Trophy and the Arrive just showed up, that must be really annoying for Microsoft. They need to get some Mango devices with eye-popping hardware out there before other systems push them aside. I think the problem arises when the full features are not introduced that should be. I would want copy and paste, flash, etc. Why buy a phone that doesn't support those features? Another reason (I think), is that people want a variety of phones, not just ones that have a sliding keyboard (Sprint). I have banana hands, so I would want a phone that is easy to use for my convenience (hence why I have an Evo). If they get the new features out before the holidays, knock the prices down, and make a variety of phones, they should see a dramatic increase with sales. I want to go to WP7, but the OS isn't up to date yet. I hope Nokia delivers.